High velocity EH Series units are of single coil construction air distribution towards the center of the cooler or freezer. The fans draw in air from the evaporator coil and discharge it through the fan guards on the front of the unit. 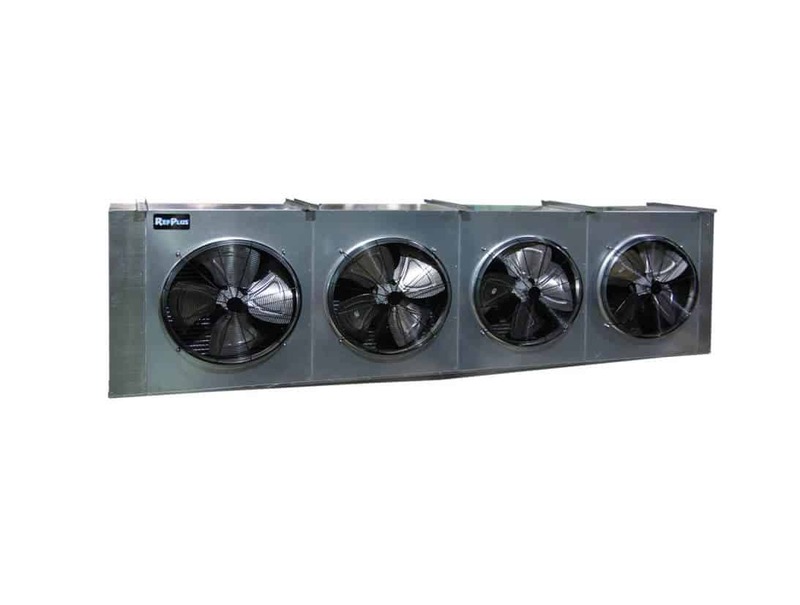 The EH Series walk-in cooler casings are heavy-gauge textured aluminum with PVC-coated wire fan guards, aluminum fans and plated hardware for heavy-duty and corrosion-free assembly. Life-lubricated, thermally protected, heavy-duty fan motors are provided for long life and dependable service.